It’s the weekend and you and your family suddenly need to go to the health clinic as soon as possible. You live in the suburbs and you’re the only one available to drive the car. Except there’s one problem. You can’t drive. Bus service is practically non-existent in the area where you live. It could take you and your family hours to make the connections required to go to your appointment. Taking a taxi is also out of the question because you have young children who need to be in car seats. Effectively you’re stuck. Let’s hope that you don’t find yourself in this scenario. If you are a mum of young children you could very well find yourself in such a situation if you are living in some areas of the Lower Mainland and you don’t know how to drive. If you are over 30 and are thinking about learning how to drive, I can relate to your situation. A few years after my 35th birthday, and after a good amount of prodding and encouragement from my partner, I finally decided to take driving classes. Four years later, as a mother of twin toddlers I realize just how important it is to know how to drive. Now that I have moved away from a downtown Vancouver neighbourhood with a walk score of 97% , knowing how to drive and having the confidence to drive solo are valuable skills. Transit service is infrequent in outlying areas and shopping options are not within walking distance. The walk score for our current house is 17%. Most likely it would be close to zero if it weren’t for the fact that there is a public school up the road. Like most new drivers I read many websites and reviews and tried to determine what my best options were for taking driving classes. Since I am not a teenager, taking Young Drivers of Canada wasn’t an option. I settled on a driving school in North Vancouver that uses a Mini Cooper. At some level I’m sure that the allure of driving a Mini Cooper attracted me to this school. As it turns out the classes were also very accessible. I could take transit from my job working on Burnaby mountain to Waterfront station, take a Sea Bus to the Lonsdale Quay side and meet my instructor there. 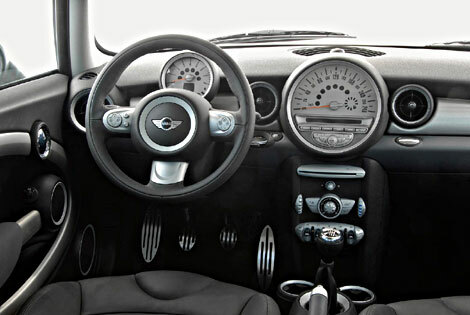 It turns out that the Mini Cooper is an excellent choice for a new driver. Since it is so small, you can easily get a feel for the dimensions of the car as you learn skills such as changing lanes or parallel parking. The owner of this driving school is also the instructor. He presented to me as being very knowledgable and strict about achieving the appropriate level of driving skills. He reinforced important driving principles over and over again and I still find myself thinking about the conversations we had at the time. When I had finished enough classes, I went for a test in NorthVancouver. I failed the test. One of the main reasons I failed was because I stopped in the wrong manner in the middle of a complex intersection. Imagine pausing in the median area between to sets of roads that run parallel to each other. 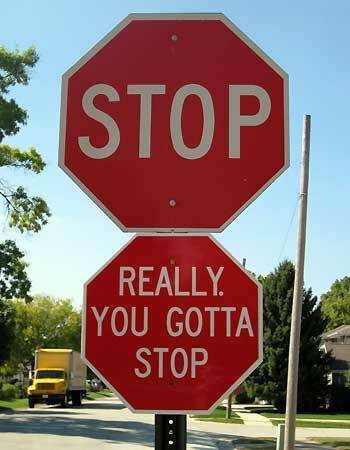 There are various stop signs indicating who goes when and where. I got confused and that was the end of that. It was discouraging to fail but I knew that the examiner must have had good reasons for failing me. (Plus there is a marking system that is used to determine if you fail or pass.) Once you pass your test, you are entitled to drive on your own. Clearly she felt I wasn’t ready for that level of autonomy and still needed someone to be with me. Within a few weeks I took another test at the driving examination centre on the west side. Thankfully I passed and my confidence increased. I decided to continue to drive with my husband in the car so that I could benefit from his experience. I also didn’t have enough confidence to go out on my own. Since we were living downtown, as soon as I left the parkade I found myself in some of the busiest driving areas in the Lower Mainland. After each trip I would ask my husband for a rating out of ten. Some days were better than others. When I became pregnant with twins, I stopped driving and didn’t start again until they were well over 1 1/2 years old. My new found desire was prompted by our decision to move from downtown Vancouver to the Tri-City area. I needed to be able to drive on my own when my husband was a work. At first we kept our one vehicle at home all the time and my husband took transit to the West Coast Express. For various reasons we changed this plan and he now takes the vehicle most days and leaves us at home without a car. However, when necessary I keep the car so that I can go to an appointment. It can still feel like a challenge to drive on my own with the children to appointments that are far away. Since I did take a long break after achieving my learner’s license, my confidence to drive when I started again was at a low point. It was as if I was starting all over again. For my first one or two solo driving expeditions I shared my nervousness in status updates on Facebook. Friends around the world sent in their votes of encouragement and tips about how to keep my level of confidence strong. Gradually I have become more confident about driving and about driving solo or solo with my young children. Here are few of the challenges I faced and strategies that work for me. – When you are taking driving lessons put in as much practice time as you can between classes. – If you live in the heart of the Lower Mainland or notoriously busy areas such as North Richmond, practice driving in quieter neighbourhoods. I enjoyed driving around Bowen Island, White Rock, Kerrisdale and UBC, and the Tri-City area. I did not enjoy driving around downtown Vancouver and South Granville Rise. – Once you have your new driver’s license, drive as much as you can when you have access to a car. If you are nervous about driving, have someone with you but keep driving every week. – Don’t be upset if your driving partner gives you advice or tells you that you did something wrong and should drive differently. Learning how to drive is a humbling experience. Let your feelings about these experiences roll over your shoulder and appreciate the fact that you have an experienced driver with you in the car. – If you have spent many years as a passenger, you are used to relaxing in the car, looking out the window and watching anything that suits your fancy. When you are a driver your main objective is to be scanning your route and driving environment all the time for issues that are a concern. Since you are relatively inexperienced, you don’t have the luxury of gazing out the window or watching non-essential scenery or activities. Experienced drivers may not understand this point and sometimes you will have to remind them that you are a new driver and have to watch the road. – Be aware of distractions such as the radio, cell phone ringing (seems obvious – don’t even use hands free), talking with passengers and crying babies. In fact if your baby cries, don’t react. If you want to aid your child, pull the car over. Otherwise there’s nothing you can do besides turning on non-distracting and soothing classical or jazz music. – Those darn bad drivers. You know the ones. They pop in front of you without putting on their signal or giving enough lane change notice. They drive close to your rear bumper or beep their horn if you are a millisecond slow when the light turns green. Then there are the real problems – the drivers who run an orange just as you are about to clear an intersection. During your driving classes your instructor will have prepared you for these types of driving patterns. Heed his or her advice. – How were you taught to enter an intersection? How far should you be into the intersection and how should your wheels be aligned? What was the advice about when to go through and when to wait before clearing the intersection? What should you look for on the pedestrian crossing and in the far lane? Try to take a scientific approach to clearing an intersection and follow your driving instructor’s advice to the word. – How many seconds did your instructor advise you to count between the car in front of you and your car on the road, on the highway or when driving in the rain? How will following these instructions help you if a car in front of you changes lanes? If a car is tail gating you, what should you do? – Are you remembering to signal when you need to do so? (When changing lanes, turning corners or pulling out in a parking lot, for example.) Are you signaling that you are going to slow down and turn the last second before reaching the required street, or are you giving the person behind sufficient notice? – As you are driving you will start to notice trends. Make a mental note to yourself to remember these issues in the future. For example, when you execute a left turn, you are supposed to turn into the far left lane. After you do so, you might want to switch to the right lane. The problem is that many lazy drivers will simply directly turn into the right lane. If the driver behind you decides to do this and then speed up, you might hit his or her car if you execute the turn correctly and do an immediate lane change after you make the turn. – It helps to visually plan out your route to your destination road by road, and lane by lane. GPS won’t help you unless you are able to pull over when you need to consult it, or you can follow the verbal instructions. When will you switch into the right lane? When will you have to take a left turn? Where will you need to enter a car park? Will you be able to park in a parking stall or will you have to parallel park? Do you have to take a highway or are there alternatives? When will you change lanes in anticipation of a left turn? – Some people find highway driving to be a challenge. Some of the entrances to highways are intimidating as the cars are traveling quickly past the end of the on ramp. When you are on the highway, some drivers drive quickly and switch from lane to lane using sloppy signalling or without providing much advance notice after signalling. Sometimes the exit signs are confusing. Compared to the United States, a good amount of exit notice is given here in Canada; however, sometimes it can be a challenge to switch into the exiting off ramp within a certain distance. When you are increasing your confidence while driving, consider reserving highway driving to those times when you can have someone with you in the car. – As a new driver over 30, it is an adjustment to remember that you have to be alert all the time when driving. You can feel this requirement when you are driving in the central areas of Vancouver and travel down a road with flashing green lights. Since these lights are activated by pedestrians who wish to cross the road, they can change from flashing green to red quickly. It could be easy to cruise through a light that suddenly becomes red. Worse still, it could be easy to rear end a car that has stopped at one of these lights. As a result, on these roads you tend to stop and start more often than you would in suburban areas. Similarly, if you are not watching ahead and don’t tap your breaks a few times to prepare to stop (thereby also alerting the driver behind you), you might find yourself in the receiving end of a rear ender. In general, keep watching out for lights and look for warm lights that are about to go red. Similarily, as you are scanning the intersection waiting for the red light to turn, you can see when the lights in the other lane are about to finish being green. If you are at the front of your lane, this can help you to be prepared to start driving again. Don’t forget what your instructor said about pedestrians. Keep scanning for them. As you drive into busier areas, the chances of encountering a pedestrian dashing last second across the street increases. – Your driving instructor will teach you how to do shoulder checks to monitor oncoming cyclists. While you are less likely to encounter a cyclist in a suburban area as you execute a turn, you never know when one might appear. 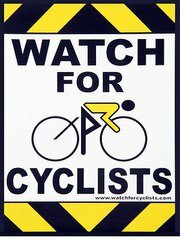 Keep your cyclist checking routine going regardless of where you are. – Changing lanes is one of the hardest skills to pick up while driving. Instructors will give all the information you need about changing lanes, turning through intersections and completing a right on a red or green light. Try to remember all of the suggested steps and execute them even if there are no drivers or cyclists around. It is good practice to establish good habits. When changing lanes you will benefit from a habit of checking your rear and side view mirrors frequently so that at any given time you know what types of vehicles are around you, and where they are. Everything your instructor told you about blind spots is true. You never want to change lanes if there is a short distance between you and the car behind you in the adjacent lane. If you startle the driver behind you this reaction could have an impact on his driving and the people around him. Leave tighter lane changes to experienced drivers. – Respect buses and trucks. As these are larger vehicles, bus and truck drivers can’t stop as easily as a driver of a small vehicle. If you practice dangerous driving techniques around a Lower Mainland driver, they will let you know. Instead of fighting back, think about what you might have done to distress the bus driver who is in the process of gesticulating and complaining. – Go easy on your brakes when going down a hill. If you sit on your brakes all the way down, your brake pads will suffer the consequences. Your driving instructor will show you how to pump your brakes as you go down a hill. When you are preparing to stop at an intersection it is best to not be too close to the car in front of you so that you have time to tap your brakes a few times and then come to a smooth stop. No passenger wants to experience continued jerky stops at every interesection. It is also helpful for drivers behind you to know that a stop is coming up. If you have a larger vehicle it might be harder for the drivers behind you to know that a stop is imminent. – Don’t be embarassed by your parking skills. When you are parking in a stall, choose a location that is less busy so that you feel confident about pulling in. Gradually your confidence to park in busier areas will increase. If you are too close to one side of your stall or the other, don’t hesitate to readjust your car. Just be careful to watch for cars behind you as you pull out again and execute the process slowly. You don’t want to move the car when the parking brake is on, for example. Try to practice parking in different settings. In a few years you will need to take another driving test and you will need to be able to park well enough to pass the test. – Be carefullaboutdriving too slow. If most of the traffic is going around the speed limit and you are going significantly slower, you could be putting yourself and other drivers at risk. At a minimum you should be driving in the slower lane on the right. If the driving speed on the road you are on feels too fast for you, you might want to consider taking a secondary road until you have more confidence. Keep in mind that many drivers think that it is acceptable to drive up to 20 MPH over the speed limit. This can turn a non-highway road into a road where drivers drive at a swift pace. This is where taking driving lessons can help as instructors will teach you the skills to know how to drive at the right speed with confidence. – Make sure all lights and special features in your car are off before you turn off the engine. You don’t want to leave your light on and run out your battery. Watch out for reading lights in the front and rear of the car. It is easy to leave a map light on and forget about it. – If you are new driver, try to not be OVER confident. Some of the worst speeding, lane change and weaving patterns can be seen from drivers with Ns on their cars. If you see an N on an uber expensive sports car, be wary! – If you are a new driver and you have a child on board, do get a Baby on Board sign and place it in the spot that won’t obscure your vision. Coupled with your N sign, that should go on your bumper, other drivers will be sensitive to your situation and won’t try to rush or crowd you on the road. – Be aware of pedestrians and children. Many of them are either not savvy to the rules of the road, or like to take chances. Also be aware of other drivers. Trust your instincts. If you think a driver is about to jump the lane in front of you without signalling properly, more than 50% of the time you will probably be proven to be right. Do put your hand up and motion as a signal to drivers that you are sending your thanks when they show you a courtesy on the road. As you share stories about your nervousness, challenges and accomplishments other friends and colleagues will tell you their stories. 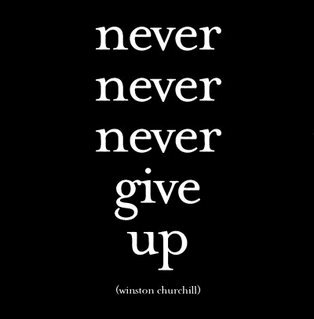 You will see that many other people have had or continue to face the challenges that you are facing. You will feel a sense of comraderieandcomfort from sharing stories with others. Ignore the stunned faces and looks of disbelief from colleagues and social connections who can’t understand why you don’t have a license or are nervous to drive on your own, for example. The information included in this posting does not represent instructions about how to drive, but hopefully will draw attention to some of the topics that you can discuss with your driving instructors. If you’ve been sitting on the fence about learning how to drive, go ahead and choose the right instructor for you, get some solid support from experienced drivers, choose quiet neighbourhoods for your early driving experiences, think out your routes in advance, remember those solid tips your instructor gave you and go at your own pace. These are some of the tactics I have used to get me on the road and keep me motivated. In time you will come up with your own list. If you are a new and nervous, driver give yourself a pat on the back. You’re making the effort to get in the car and that shows that you have courage. 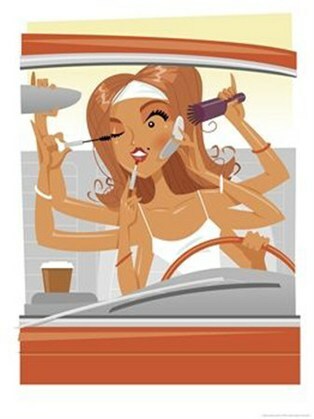 Take it slow, talk yourself through situations in the car if you have to, and go at your pace. Don’t let anyone rush you, be as observant as possible and believe in your capabilities. You’re gaining more confidence and skills everytimeyougo out on the road. Even if you’re staying in your quiet neighbourhood, or you have to have another driver with you, you’re heading in the right direction. Keep on driving and you’ll get there! ICBC’s Drive Smart Share a Wave contest. It’s fun. Check it out.